Countries rarely think and act long-term. The next election cycle is as far as politicians’ horizons typically extend. Vietnam has chosen a bolder, more successful approach, starting with the Đổi Mới (economic renovation) reforms in the late 1980s. Visionary leaders and a sense of shared societal purpose have allowed it a longer-term and calibrated focus on the future. Economic growth as a result has been rapid, stable, and inclusive, translating into strong welfare gains for the vast majority of the population. But three decades of success from reforms have raised expectations for the future, especially for a young, rapidly urbanizing population that is fast joining the ranks of the global middle class. The Vietnamese people now aspire to be a modern and industrialized country, with a prosperous, creative, equitable, and democratic society. The Vietnam 2035 report, a joint undertaking of the Government of Vietnam and the World Bank Group, captures the country’s long-term aspirations and fleshes out the supporting policy and institutional agenda. The aspirations and the reform agenda, the report argues, stand on three mutually reinforcing pillars: balancing economic prosperity with environmental sustainability; promoting equity and social inclusion to develop a harmonious middle- class society; and enhancing the capacity and accountability of the state to establish a rule of law state and a democratic society. Minister Bui Quang Vinh, an experienced, outspoken, and highly-regarded leader within the Vietnamese political system, a strong proponent of bold institutional reform, and at the time Minister of Planning and Investment, was a guiding force behind the writing of the Vietnam 2035 report. 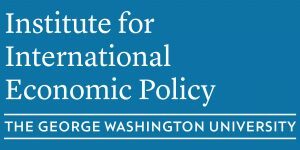 In this seminar, he will talk about why his government sought a long-term vision report, what made the World Bank the partner of choice, what he sees as the report’s main messages, and what now are the political economy challenges that stand in the way of implementing the report’s recommendations. 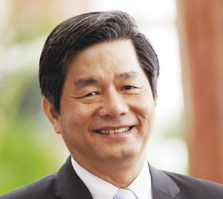 Mr. Bui Quang Vinh served as Vietnam’s Minister of Planning and Investment from 2011 – 2015. The Ministry of Planning and Investment (MPI) is responsible for preparation of Vietnam’s development strategies and plans, public investment planning, some aspects of SOE reforms, poverty reduction, and oversight and coordination of ODA. Mr. Vinh was also a member of the Central Committee of Vietnam’s Communist Party and of Vietnam’s 13th National Assembly. He served as MPI’s Vice Minister from 2010 – 2011. During 1999-2010 he was Chairman and Party Secretary of Vietnam’s Lao Cai Province, one of Vietnam’s poorest provinces located in the northern part of the country. He previously held various other positions there and in the old Hoan Lien Son Province. Born in Hanoi in 1953, the Minister earned an engineering degree from Vietnam’s University of Agriculture in 1975 and studied at the Agriculture Economic Institute in Moscow. Stephen Smith, IIEP Director, will serve as Chair and Danny Leipziger, Growth Dialogue Managing Director, as a discussant for this forum.